DAWGS efforts in Chicago and the surrounding areas have helped improve neighborhoods and fight blight. Lipstick Saints is a non-profit organization, based in Chicago, founded by Mo Brown. Lipstick Saints mission is to “Enrich inner city teenage girls lives through social experiences, and positive reinforcement”. The organization specifically assists teenage girls between the ages of 13 and 18 years with their self-esteem and confidence. Those who oversee the organization, including Mo, have themselves faced many of the same challenges these inner city teen girls face. The strong women leading Lipstick Saints have overcome their own challenges and they now represent a diverse group of professional women who are refined, compassionate, and graceful. 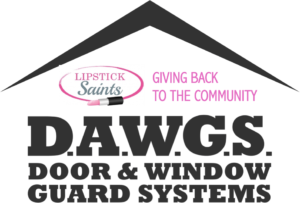 These Lipstick Saints role models are dedicated to helping inner city teenage girls live happier and healthier lifestyles.